Recent clinical trials looking at gluten-free diets for children with autism spectrum disorder (ASD) are showing benefits worth considering. Typical indicators of autism spectrum in children may include delayed speech, lack of eye contact, impaired or non-present social skills, shyness, obsessive-type behaviors, delayed gross or fine motor skills, sensory integration issues (sound and touch sensitivity, etc. ), and mood changes. 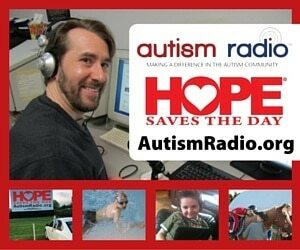 Commonly overlooked, however, are the physical and medical conditions many of these children face. Many of these children also have food allergies and eczema, general gastrointestinal distress, constipation and diarrhea, yeast overgrowth (candida), immune system dysregulation, and sleep disturbances. 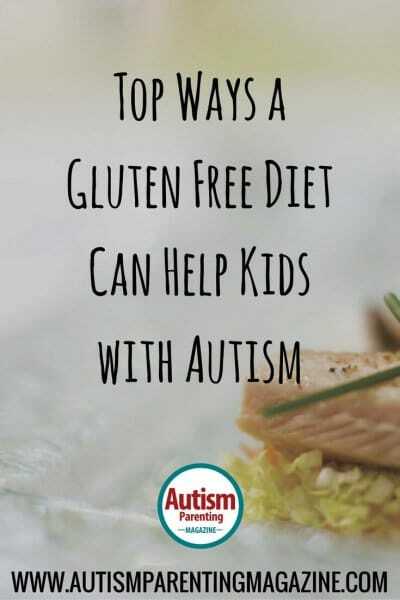 While there is no one specific “autism diet,” removing gluten (the protein found in many grains, including barley, rye and wheat) and casein (protein found in dairy) has been shown to be very beneficial. It is estimated that up to 80% of children will benefit from this dietary change when it is strictly followed. Clinical trials for nutritional intervention are increasing and showing promise in being very beneficial for addressing core symptoms of autism. One specific clinical trial released November 2016 showed “significant decrease” in prevalence of gastrointestinal distress, as well as a “significant decrease” in behaviors associated with autism when eliminating gluten, as compared with the control group. Research suggests that the gut lining becomes inflamed and compromised due to an unhealthy combination of bacteria in the bowels. This is known as the microbiome. Many factors lead to this inflammation, including specific foods, environmental factors, and the overuse of antibiotics and other medications. This inflammation leads to a condition known as “leaky gut,” or intestinal hyper-permeability. When the intestinal barrier is compromised, partially digested gluten and casein proteins can pass through the blood stream and eventually go to the brain. It has been found that these proteins have a chemical structure similar to that of opioids, which can then bind to opioid receptor sites in the brain and lead to interference in specific brain signals. This, in turn, can lead to some of the typical autism behaviors. Most children with autism already have a very limited diet, making dietary changes such as these seem out of reach. However, there are many ways to improve success in making these changes. Additionally, one of the biggest initial breakthroughs most parents see with removing gluten and casein from the diet is the expansion of foods their child will begin to eat. Not only is removing certain problematic foods important, but many of these children are deficient in many critical nutrients. Inflammation within the digestive tract may hinder nutrients from being absorbed. Speaking with a Clinical Nutritionist can help ensure adequate and crucial nutrients are being met. Shawna Kunselman MSACN, is a Clinical Nutritionist who holds a Master of Science in Applied Clinical Nutrition and a Bachelor of Science in Psychology. Shawna is married and has two children. When her oldest son was diagnosed with autism at the age of five years old, she became intensely focused on understanding the biochemistry of our bodies and the specifics of using special diets to help autism and other inflammatory conditions. In addition to continuous learning and researching, Shawna is passionate about spreading awareness of natural means of healing and holistic living. She hopes to inspire others to become more aware of the impact food and environment has on our health. You can follow Shawna at: www.wellness-speaks.com, www.twitter.com/shawnakunselman, https://www.instagram.com/wellness_speaks, and www.facebook.com/shawnakunselman. 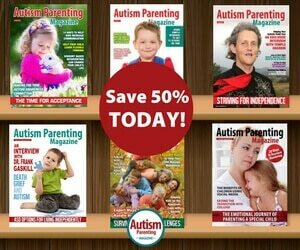 If you have concerns about your child’s health and think nutrition or diet may be a contributing factor, Shawna invites Autism Parenting Magazine readers to a FREE consultation to help get an understanding of possible root problems of some of these symptoms. Shawna Kunselman MSACN, is a Clinical Nutritionist who holds a Master of Science in Applied Clinical Nutrition and a Bachelor of Science in Psychology. Shawna is married and has two children. When her oldest son was diagnosed with autism at the age of five years old, she became intensely focused on understanding the biochemistry of our bodies and the specifics of using special diets to help autism and other inflammatory conditions. In addition to continuous learning and researching, Shawna is passionate about spreading awareness of natural means of healing and holistic living. She hopes to inspire others to become more aware of the impact food and environment has on our health. You can follow Shawna at: www.wellness-speaks.com, www.twitter.com/shawnakunselman, https://www.instagram.com/wellness_speaks, and www.facebook.com/shawnakunselman. If you have concerns about your child’s health and think nutrition or diet may be a contributing factor, Shawna invites Autism Parenting Magazine readers to a FREE consultation to help get an understanding of possible root problems of some of these symptoms. I’m a mom with 2 children . 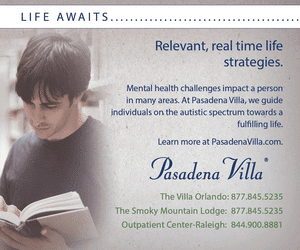 One of my child is recently diagnosed with mood disorder and Autism . And his initial milestones are diagnosed by a particular app! So I thought so share in case this could help your child as well. Childstones lets you capture all of the important moments of your child’s development and are available at the touch of a button, wherever and whenever you need them. You can start keeping a record of each of your child’s milestones. Then you can share it with your doctor , It will be easy for your doctor to diagnose your child better because you won’t be able to explain every moment of your child. Besides, you will get reminders on when to capture them. Whether you want to play back memories or you need them to show your child’s doctor, the moments are only a click of a button away. The best part is this app is 100% free to use ! I wish I had that when my 6 year old was born. I was so caught up that I would barely right down things. Hi, Shawna. Do you have the links for the clinical trials that are referenced in this article? Hi Caila! Thanks for your inquiry. I’ve listed the reference below.